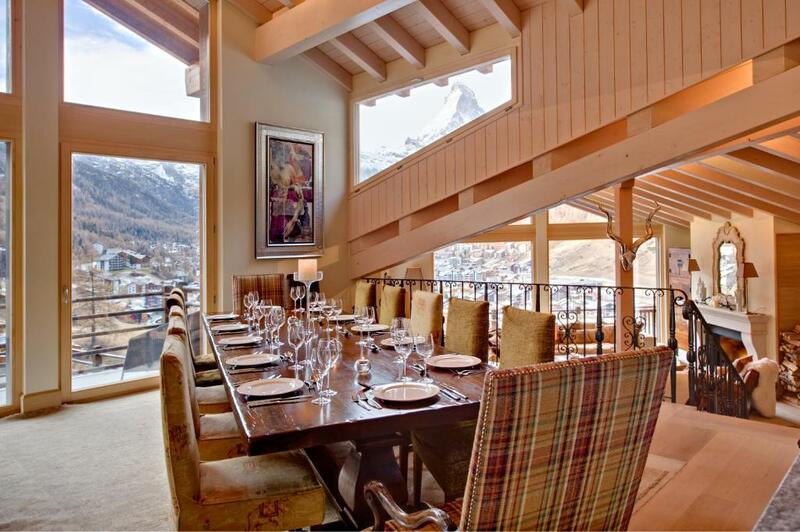 Located in Zermatt in the Canton of Valais region, Chalet Grace features a terrace and mountain views. The property has free WiFi. The chalet comes with 5 bedrooms, a fully equipped kitchen with a dishwasher, and 2 bathrooms with a hot tub and a bath. A flat-screen TV is available. 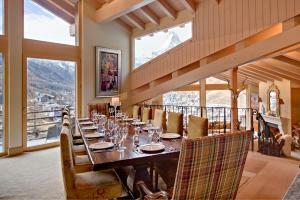 A Full English/Irish breakfast is available daily at the chalet. 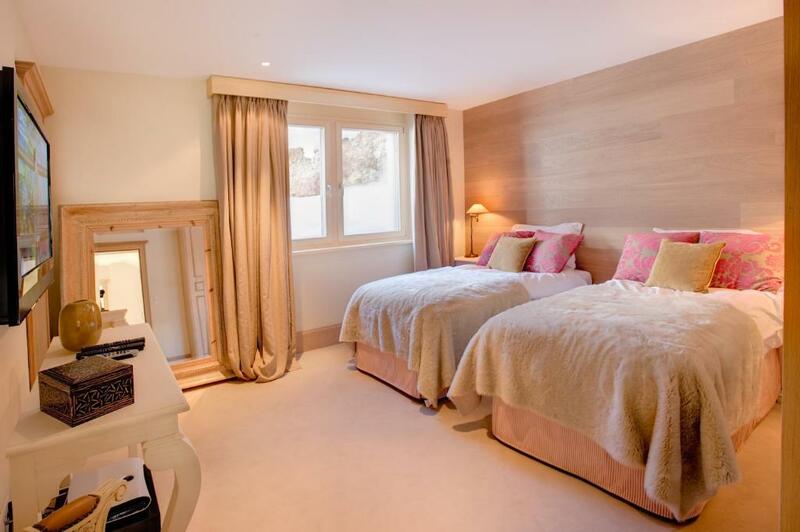 At Chalet Grace guests will find a wellness area, a hot tub and a sauna. 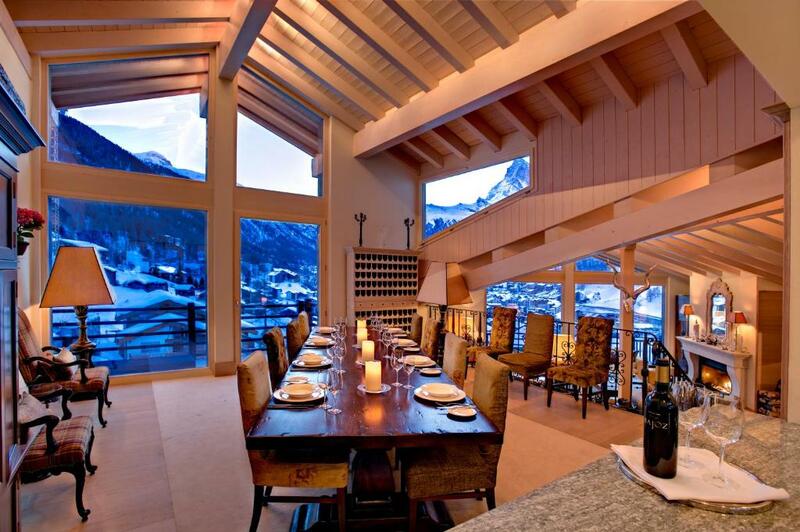 Skiing is possible within the area and the property offers ski storage space. 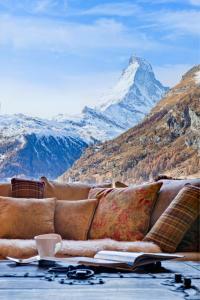 Popular points of interest near the accommodation include Patrullarve, Eisfluh and Matterhorn Museum. 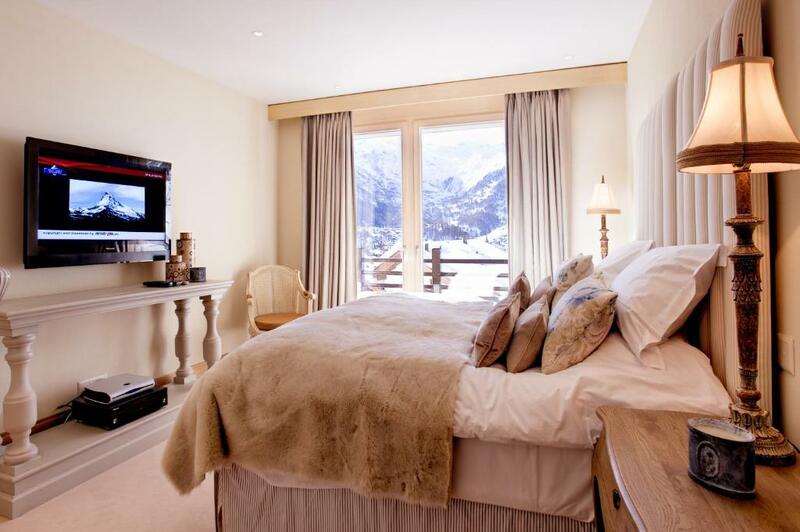 When would you like to stay at Chalet Grace? 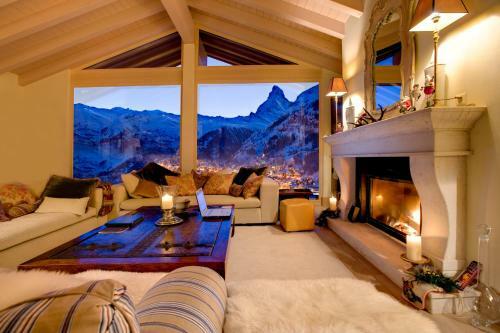 This chalet has a balcony, seating area and computer. 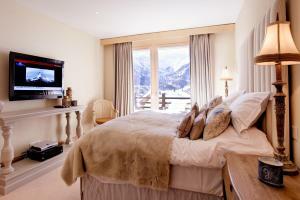 House Rules Chalet Grace takes special requests – add in the next step! Chalet Grace accepts these cards and reserves the right to temporarily hold an amount prior to arrival. 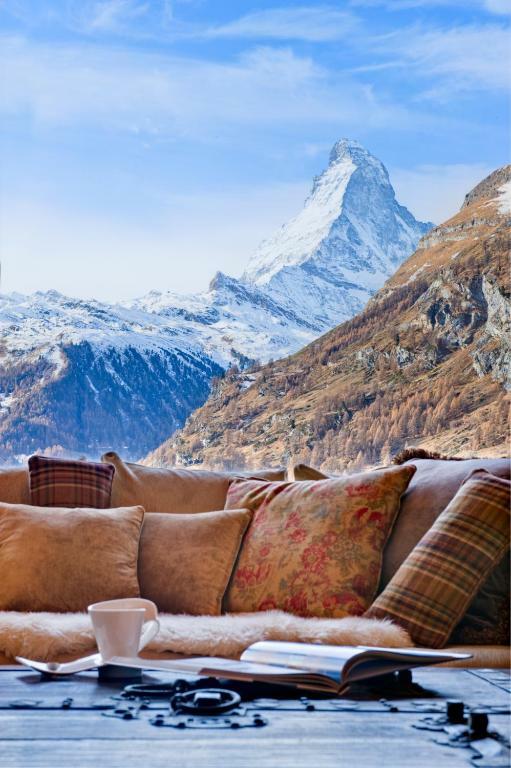 A damage deposit of CHF 3000 is required upon arrival – that's about 2959.89USD. This deposit is fully refundable at check-out as long as there's been no damage to the property. 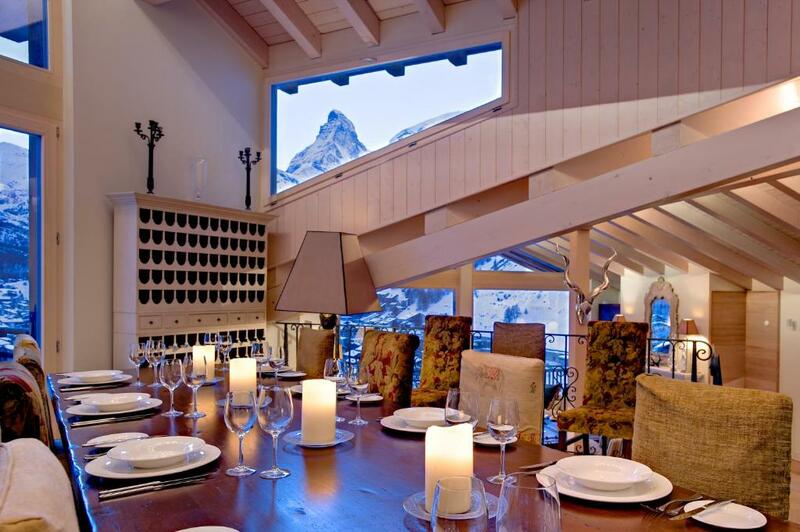 Please inform Chalet Grace of your expected arrival time in advance. You can use the Special Requests box when booking, or contact the property directly using the contact details in your confirmation. We need at least 5 reviews before we can calculate a review score. If you book and review your stay, you can help Chalet Grace meet this goal.